Apprising Ministries continues coverage of bromance ER2 where today Todd Friel of Wretched Radio astutely observes we may be seeing a new coalition of contemporary “Evangelephants” emerging. Frankly, I think ER2 was a scripted Theodrama designed to look like it’s going to be cutting edge; it isn’t. I’m someone who formerly adhered to Word Faith theology early in my Christian walk; and I’ve also personally interacted with T.D. Jakes as you can see in T.D. Jakes Says Ken Silva Is Being Obnoxious. For now I happen to be a Southern Baptist pastor, as far back as 2006 in But Southern Baptists Say Ok To “Bishop” T.D.Jakes, I’ve been concerned about the heretical Word Faith mogul as he came in to preach at the SBC megachurch of Ed Young. Jr. In fact, at this same conference former two-time SBC president Dr. Ed Young also shared the platform as well. So, as you might imagine, when the announcement that T.D. Jakes was to be part of ER2 it would naturally catch my attention. When I investigated further the fetid fruit of ER1 it became pretty clear to me that what was going to happen at ER2 would be a bromance with T.D. Jakes in order to move modalism out of the way so they can bring Jakes into the mainstream of contemporary evangelicalism. Jakes masterfully deconstructs the entire practice of theology. Don’t be fooled by the panel members who insist that he affirmed the Trinity. What he did was say, “I’m Trinitarian so long as I am free to express it in Sabelian terms.” He repeatedly insisted that Oneness folks and Trinitarian folks are all saying the same thing. This is precisely what went on in the postmodern obfuscation. 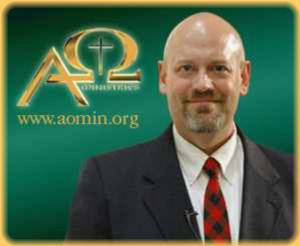 Now I’m going to point your attention to the following salient mini-commentary on ER2 today by Dr. James White of Alpha & Omega Ministries via Twitter. He’s one of the few men of God out there with some spiritual backbone.